What will your R-Value be next spring - summer - fall - winter? 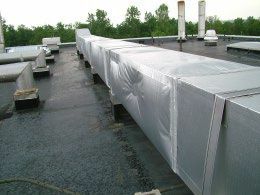 Until now wind, rain, hail, ice and snow could penetrate most duct cladding systems, saturate the insulation and force the client to replace the exterior ducts; damaging YOUR reputation. 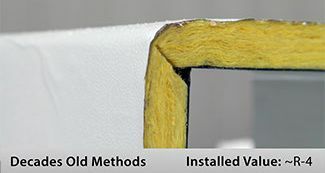 Thermaduct uses high quality, closed cell phenolic to create some of the highest R-values available on the market today. Pair this with a 1000 micron Vinyl cladding and Thermaduct truly is the last line of defense between your insulation values and the outdoor elements. How Does Your Cladding Perform? 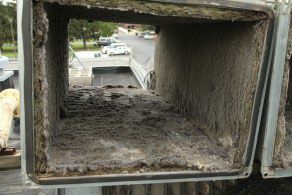 Cladding can cause many issues for traditional ductwork if damaged or installed improperly. Water intrusion, mold growth and ballooning can all contribute to loss of R-value and dangerous health conditions. Four levels of protection to keep the air in and outdoors out. 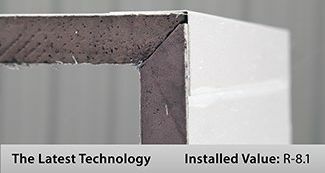 When your reputation is on the line, there is no better choice to provide a water tight, durable pre-insulated duct like Thermaduct. Start ordering your customers more today by contacting your Thermaduct representative at 855-809-6903.